PLEASE READ CAREFULLY THE FOLLOWING TERMS AND CONDITIONS OF USE. THESE APPLY TO ALL VISITORS OF THIS SITE. IN THIS SITE, YOU AGREE TO ABIDE AND BE BOUND BY THESE TERMS AND CONDITIONS. IF YOU DO NOT AGREE TO THE TERMS AND CONDITIONS BELOW, DO NOT ACCESS THIS SITE, OR ANY PAGES THEREOF. 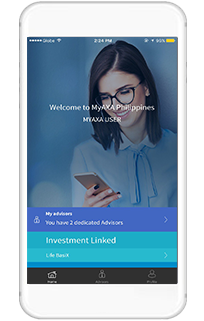 The AXA Philippines site is an information site intended both for AXA Philippines clients and for non-clients. Information contained in the site is strictly for informative purposes only. It does not entail any legal commitment or contractual agreement on the part of AXA Philippines, which also reserves the right to modify its characteristics. Access to this site is free. Costs of access to use of the telecommunication network are to be paid by you, the Internet user, in accordance with the terms stipulated by your service provider and telecom operator. 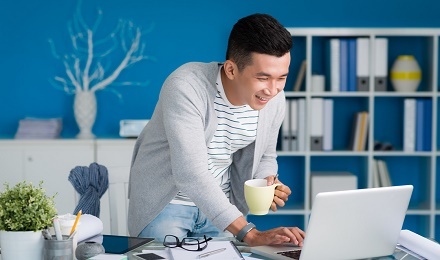 AXA Philippines grants you a limited license to access the site and use the services in accordance with these Terms and Conditions, as well as the instructions and guidelines posted on the site. AXA Philippines reserves the right to terminate your license and services at any time for any reason, or in the future, for commercial usage. Unauthorized use of this site and systems including but not limited to spamming, spam related activities, or disassemble, decompile, copy, modify or reverse engineer any of the software therein. Unauthorized entry into AXA Philippine's systems, misuse of passwords, or misuse of any information posted on a site is strictly prohibited. You agree not to collect, use or harvest any personally identifiable information from this site. You also agree not to copy any text, image, code or other content from this site without AXA Philippines’ permission. This site is not intended for distribution, or use by, any person or entity in any jurisdiction or country where such distribution or use would be contrary to local law or regulation. The creation of hypertext links to the site is subject to the explicit prior approval of the site administrator. AXA Philippines may not, under any circumstances, be held responsible for the hypertext links made to other sites from this site. Bear in mind that delays, omissions or inaccuracies are likely to occur because of the electronic transmission system. The site may contain links to sites controlled or offered by third parties and not by AXA Philippines. AXA Philippines shall not be liable for any information, materials, products and services posted or offered by any of these third-party sites. Any participation in any sponsored promotion endorsed or administered by third parties. You therefore agree to release AXA Philippines from any claims or liabilities. This site must be seen as an inseparable whole. Complete, partial reproduction or representation of pages, data and any other element constituting the site, by any process and on any support, is prohibited without the publisher's permission. The brand names and/or logos featured on the site are owned and acquired under license contract by AXA. We do not collect or store any personal data from you under this circumstance. You have a choice not to accept the cookies, but if you do, certain functionality, i.e. banner redirection and certain content display may not be available. 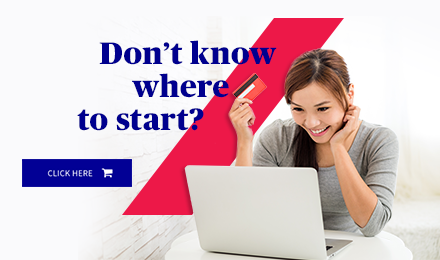 When you use this website, AXA Philippines will record anonymous statistics about your visit and will not collect any information which identifies your personal identity until you in fact decide to agree to buy any of our products. Our service providers make a record of your visit that includes but not limited to IP addresses (and domain names), the types and configurations of browsers, language settings, geo-locations, operating systems, previous sites visited, and time/duration and the pages visited. If you would prefer, you can set your browser to disable cookies or inform you when they are set. We may engage with third parties to provide us with certain analytical services to better understand our visitors, which may use technologies to collect and store anonymous information when you visit our website. We may have access to this information to permit us to identify other websites that you have visited that are also associated with that third party. In doing so, however, these third parties do not collect personal information (unless you explicitly provide it to them), and we do not give any personally identifiable information to them. AXA Philippines by all efforts keep this site up to date. However, AXA Philippines does NOT guarantee the accuracy, adequacy, correctness, completeness or quality of any information or material presented on this site. It does not claim any liability for errors or omissions in the information or material. AXA Philippines does not provide any warranty of any kind, implied, expressed or statutory including but not limited to warranties of non-infringement of third party rights, title, merchantability, fitness for a particular purpose and freedom from computer virus. AXA Philippines, including any of its directors, officers, employees and/or representatives, shall in no case be held responsible for any direct or indirect damage, loss, or injury resulting from the visit or use of this site or linked sites. The use or dependence of any information or material in the site, or the inability to use by any party, or in connection with any failure of performance, error, omission, interruption, defect, delay in operation or transmission, computer virus, system failure associated with the visit to the site or linked sites, including incidental or consequential damages, losses and expenses. Should any provision of these Terms and Conditions be or subsequently become invalid, illegal or unenforceable. These Terms and Conditions shall be deemed amended to delete therefrom the provision adjudicated invalid, illegal or unenforceable and the validity of the remaining provisions of these Terms and Conditions shall not be affected. However, to the extent possible, any provision adjudicated invalid, illegal or unenforceable shall be replaced with a provision that closely provides the intended result of the deleted provision.